Beervana Buzz: Careful, man...There's a Craft Beverage Here! Sometimes there's a man...I won't say a hero 'cause what's a hero? But sometimes there's a man, well, he's the man for his time and place. He fits right in there. That man is Brendan Jones, founder of The Big Legrowski in the Pearl District. The name and theme of this joint is based on a certain movie of a similar name, whose main character is The Dude. Jones, a big fan of the movie, is working hard to make sure his choices of decorative pieces fit the theme. A rug that will tie the room together is reportedly on the way. The Big Legrowski opened in early August. Since then, it's been "steadily slow," Jones says. One reason business hasn't yet picked up is the space on Couch isn't well marked. There's a sign on the sidewalk that's easily obscured by parked cars and pedestrians. But Jones isn't a sap. He has a neon sign on order and it should make the place a lot easier to find. Jones, an Aussie by birth, is in Portland because he married his special lady friend, who happens to be American. They tried living in Australia for a while, before deciding to give the US a shot. It's a complicated case...a lotta ins, a lotta outs, a lotta what-have-yous. 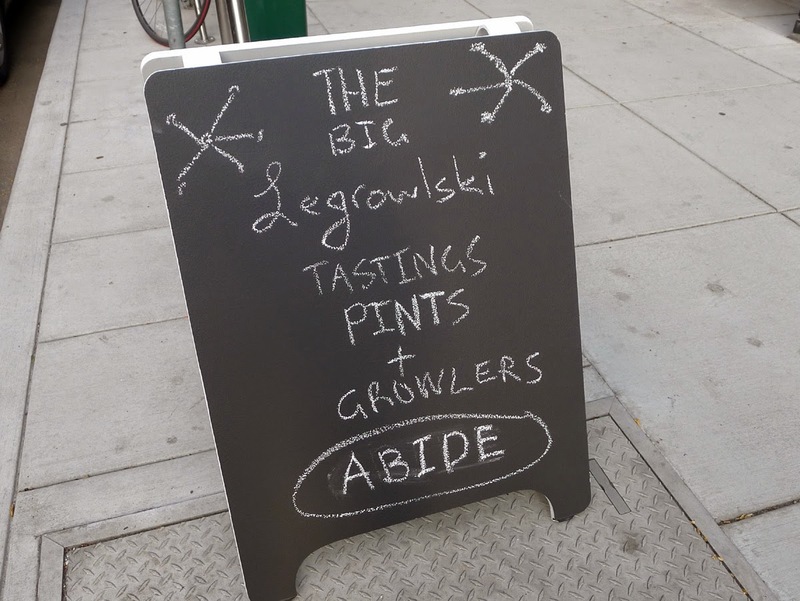 The Big Legrowski isn't just about growlers, although they are available in 64 and 32 oz. sizes. Jones also offers beer by the pint or 3 oz taster. Tasters are a buck each for most beers, and the first one is free. 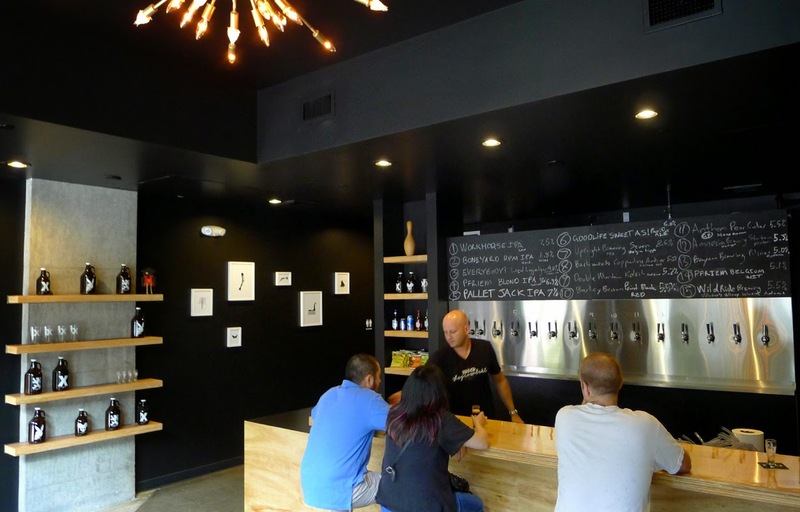 Prices for pints and growlers depend on the beer, though the average is $10-13 for growlers, $6-8 for grenades. Customers will be able to smile knowing they aren't getting gypped. There's nothing to eat here at the moment, save a few bags of potato chips. Jones hopes to offer simple snacks at some point, or he may have a menu of items provided by a nearby cafe. We just don't know how this is going to work out. This isn't a huge place and I can easily see it getting packed as business picks up. The tap list (14 beers and a cider) is occupied by some nice stuff...Barley Brown's Pallet Jack, Priem Blonde IPA, Upright Seven, Laurelwood Workhorse, Double Mountain Kolsch, etc. These are all solid, well-known beers. I suspect the list will evolve to include more specialty beers down the road. And that's cool. I suppose you have to wonder if the Pearl community will support The Big Legrowski. People from other parts of town aren't going to trek here to drink or get beer to go. Jones will depend on Northwest Portlanders to support his business. He may be out of his element, but I bet not. If you happen to live in the area or be in the area, you should stop in and give this place a try. The concept Jones invented and implemented is pretty damned ingenious. I take comfort in that, knowin' Jones is out there takin' 'er easy for all us beer fans. I sure hope his place does well. Good luck to them. But I am a bit confused by the line "The concept Jones invented and implemented is pretty damned ingenious." what concept did he invent? When I was younger, I thought everything ingenious had to be newly invented. I later came to realize there is very little of anything new and ingenious in the world. Almost everyone who creates something is borrowing from someone or something that came first. 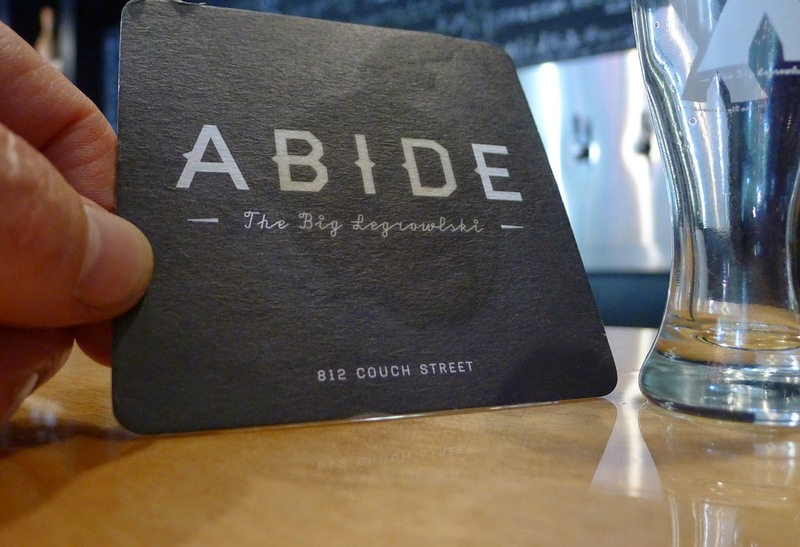 So it goes with Brendan Jones, who took concept of The Big Lebowski and applied it to craft beer. The name and the effort to make the decor fit the theme is ingenious, I think. 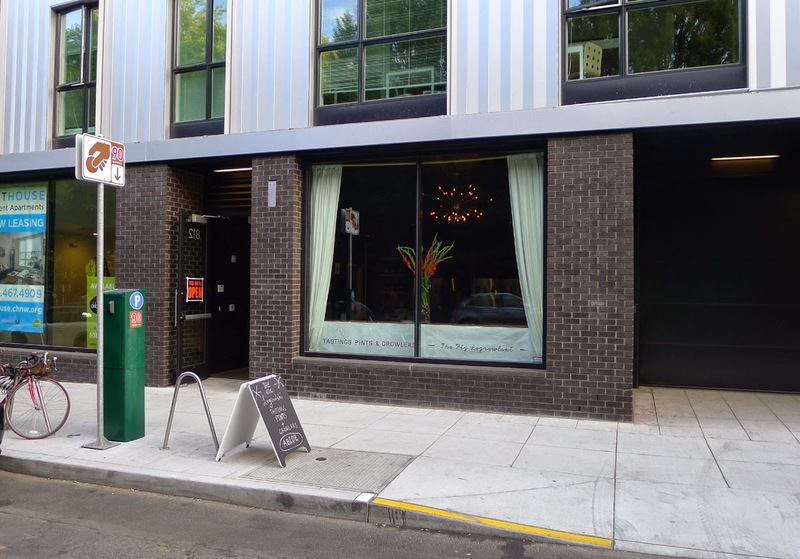 Whether the idea has traction in the trendy Pearl District is anyone's guess. I hope Jones does well. I just fear for a world in which the millionth person to make a big lebowski pun or homage and the ten thousandth to open a growler station is "ingenious". If he's ingenious what does that make the people that actually came up with these concepts?